Properties in Davis average 4.5 out of 5 stars. Property 1: This one is so special. You have to see it to believe it. Adorable and Affordable Mountain Cabin Has It All and Then Some! Property 3: Adorable and Affordable Mountain Cabin Has It All and Then Some! Recently renovated and freshly decorated-welcome to Mountain Getaway! Property 4: Recently renovated and freshly decorated-welcome to Mountain Getaway! Private Romantic Getaway, Tucked in the woods! Private Hot Tub! Property 5: Private Romantic Getaway, Tucked in the woods! Private Hot Tub! Enjoy Panoramic Views from this adorable Treehouse! Hot Tub w/ a view! Property 6: Enjoy Panoramic Views from this adorable Treehouse! Hot Tub w/ a view! Private, quiet and picture perfect. Welcome to Fern Glade Cottage! Property 7: Private, quiet and picture perfect. Welcome to Fern Glade Cottage! Accomodating, Affordable, Accessible ~ Sunset Chalet!! Property 8: Accomodating, Affordable, Accessible ~ Sunset Chalet!! Brilliant 2BR 2.5BA Townhome in Davis, WV - steps to Stumptown Brewpub. Property 9: Brilliant 2BR 2.5BA Townhome in Davis, WV - steps to Stumptown Brewpub. Two stories of comfort-15 Acres of Privacy. No wonder the eagle landed here! Property 11: Two stories of comfort-15 Acres of Privacy. No wonder the eagle landed here! Mountain Hideaway in private wooded property near attractions, Newly updated! Property 12: Mountain Hideaway in private wooded property near attractions, Newly updated! Romance is alive in this beautiful and secluded mountain cottage. Property 13: Romance is alive in this beautiful and secluded mountain cottage. Property 15: Skiers, bikers, boaters, hikers, to Rock Wall Inn! Property 16: Spectacular House~Convenient Location~Perfect! Property 17: Peace, quiet and a marked hiking trail to the is good! Fabulous Mountain Views in a Mountain Cabin of Comfort! Property 18: Fabulous Mountain Views in a Mountain Cabin of Comfort! Property 19: Wonderful location and lovely accommodations truly provide The Great Escape. 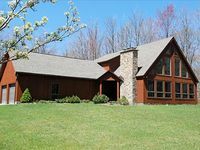 Lovely Streamside Home Provides Easy Access to All Things Canaan Valley! 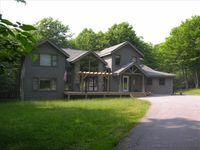 Property 20: Lovely Streamside Home Provides Easy Access to All Things Canaan Valley! Incredibly private and affordably to Four Seasons of Fun! Property 21: Incredibly private and affordably to Four Seasons of Fun! Zeeplace has it all! In the Heart of Canaan Valley! Property 22: Zeeplace has it all! In the Heart of Canaan Valley! Property 25: Affordably priced and amazingly nice mountain cottage offers peace and quiet. Perfect Mountain Getaway w/Lake View and Access! Pet Friendly. Property 27: Perfect Mountain Getaway w/Lake View and Access! Pet Friendly. Property 29: A beautiful view and lots of extras too! Super affordable lodging!! Property 31: Beautiful mountain home features night skies in panoramic proportions! Spacious Lakeside home w/ Hot tub, Pet Friendly! Property 32: Spacious Lakeside home w/ Hot tub, Pet Friendly! Beautiful contemporary home offers comfort and convenience in EVERY season. Property 33: Beautiful contemporary home offers comfort and convenience in EVERY season. Lovely mountain home offers field, stream and AFFORDABLE lodging. Property 34: Lovely mountain home offers field, stream and AFFORDABLE lodging. “Round To It” Provides Fabulous decks and Panoramic Mountain Views! Property 35: “Round To It” Provides Fabulous decks and Panoramic Mountain Views! Comfortable mountain home is a short walk to the Timberline Trails! Property 37: Comfortable mountain home is a short walk to the Timberline Trails! Relax on your own private stocked pond! Plus Mulitple Lake access and NEW HOT TUB! Property 38: Relax on your own private stocked pond! Plus Mulitple Lake access and NEW HOT TUB! Lovely private home is the PERFECT vacation space for TEN people!! Property 39: Lovely private home is the PERFECT vacation space for TEN people!! Escape To Our Spacious Cabin In the Mountains! Property 40: Escape To Our Spacious Cabin In the Mountains! Beautiful home offers a large yard, generous deck and convenient location. Property 41: Beautiful home offers a large yard, generous deck and convenient location. Maximize your vacation experience in this beautiful single mountain home. Property 43: Maximize your vacation experience in this beautiful single mountain home. It is a short and easy walk to the slopes from this lovely mountain chalet. Property 45: It is a short and easy walk to the slopes from this lovely mountain chalet. White Aspen is luxury in the heart of Canaan Valley! Property 46: White Aspen is luxury in the heart of Canaan Valley! Views, Wonderful Wonderful Views. Welcome to Peaceful View Mountain Retreat! Property 48: Views, Wonderful Wonderful Views. Welcome to Peaceful View Mountain Retreat! Picture perfect meets perfectly peaceful in this beautiful mountain property. Property 50: Picture perfect meets perfectly peaceful in this beautiful mountain property. Rating Details: The property manager was very helpful. The vacation rental was spotless. I was very happy with the location. I was very satisfied with the condition of the vacation rental. Overall, I recommend this vacation rental. Reviewer Comments: Stunning. Starry Nights is a beautiful house on a private wooded lot. We could barely make out the outline of the cabins around us. Unlike a lot of the properties in Timberline, this is truly a private get-a-way. The interior was well appointed with a comfortable elegance. Decor was minimal, but perfect in that it let the bones of the house speak for themselves. Everything was advertised and more. We had everything we needed to cook and relax at &quot;home&quot; during our stay. The town of Davis is a 20 minute scenic ride where we ate at the restaurants, drank at the breweries and got to know some of the locals. Thomas, is 5 or so minutes from Davis and has an eclectic little strip of shops and galleries. We cannot say enough about the staff at Best of Cannan, they were so very accommodating and withstood our barrage of questions with grace and hospitality. If you are looking for hustle and bustle, don't come here. If you are looking to disconnect for a bit and relax in this gorgeous home, I would highly recommend Starry Nights. Some details: the hot tub is in great condition, the gas chiminea on the deck is a great touch, plenty of kitchenware if you want to cook (which we did), the master is huge with amazing views of nature, deer in the back yard and the like, the fireplace is EVERYTHING, plenty of room for everyone to do their own thing (note it was just the two of us and we did not make use of most of house). Before we left, we were already talking about coming back and renting Starry Nights. Rating Details: The property manager was very helpful. The vacation rental was very clean. I was very happy with the location. I was more than satisfied with the condition of the vacation rental. Overall, I recommend this vacation rental. Reviewer Comments: We had a great time, it was simple to rent - the Best of Canaan was super sweet to work with. What information the rental agreement didn't provide they were able to answer before we even showed up. The house itself just needs a lil love and care, we fear in a few years it may not be there. There was quite a bit of rot on the outside from the weather and the flooring in the kitchen has seen better days. The house just wasn't meant for &quot;commercial use&quot; and it shows. The older hot tub was a welcomed treat. It as also not necessarily meant for smaller children - as the heating units in the bedrooms are quite old and hot to the touch. Overall it is a beautiful house, we will definitely stay again!